« Stallions… de Amor Teaser! So I’ve been working on this solo show. It’s my most epic project ever and it’s become clear that I can’t do it alone. So I’ve started a kickstarter campaign. 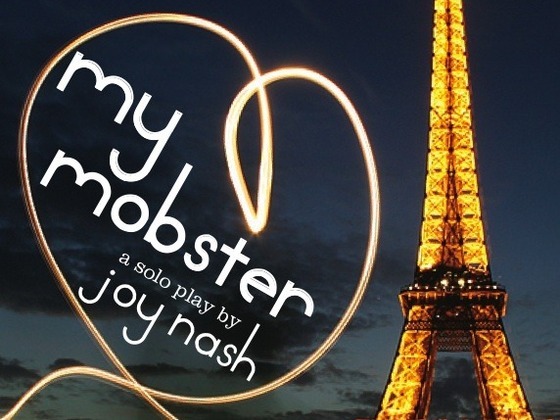 MY MOBSTER is the true of my relationship with a criminal from France. It’s a coming-of-age story about living in the moment, in the body you have, in the situation you’re in. Except funny. And heartbreaking. It’s difficult for me to describe it in a way that doesn’t make me want to roll my eyes, and I wish I could just show it to you. It’s really hard for me to ask for things, but I’m being a big girl and doing it. We’re also using a portion of the funds to produce a trailer for a feature film version of My Mobster. Please, if you want to see a wider (heh) definition of what’s beautiful on the big screen, please donate as much as you’re able… Every single dollar makes a difference!